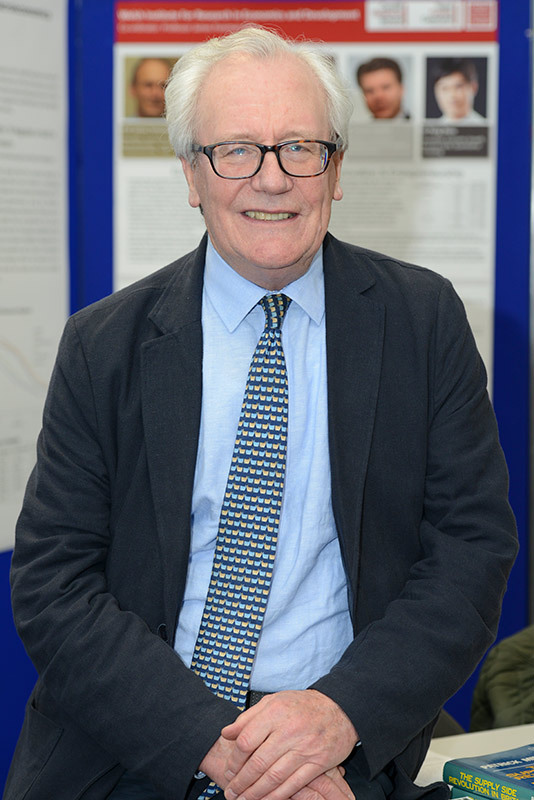 Leading economist, Professor Patrick Minford, won the 2017 Contrarian Prize. Minford was one of a handful of respected economists to back Brexit. His penchant for breaking ranks with his academic contemporaries dates back to his support for the monetarist policies espoused by Margaret Thatcher in 1983. Patrick Minford is a macroeconomist who holds the chair of Applied Economics at Cardiff University where he directs the Julian Hodge Institute of Applied Macroeconomics. Before academic life he was an economic adviser to Her Majesty's Treasury's External Division and editor of the National Institute Review. From 1976 to 1997, he was the Edward Gonner Professor of Applied Economics at Liverpool University where he founded and directed the Liverpool Research Group in Macroeconomics; this built the ‘Liverpool Model’ of the UK, which was influential in forecasting and policy analysis during the 1980s. He was a member of Monopolies and Mergers Commission 1990-96; and one of the H M Treasury's Panel of Forecasters ('6 Wise Men') January 1993-December 1996. He was made a C.B.E. for services to economics in 1996. His economic interests include monetary, trade, labour market and macro economics and modelling. Recent publications include: Should Britain leave the EU? An economic analysis of a troubled relationship, (with S. Gupta, V. Mahambare, V. Le and Y. Xu) Edward Elgar, second edition, (2015).